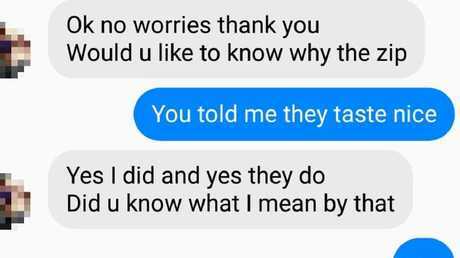 AT LEAST six Aussie women have been sent creepy messages from a man who has a sexual obsession with zips. 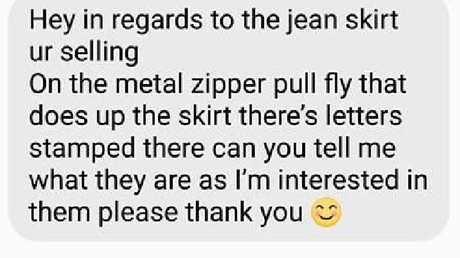 However the man behind the strange messages - which asked women about how the metal zips tasted and requested zoomed-in pictures - told news.com.au he "can't help it". A freaked-out Sydney woman raised the alarm earlier this week after she tried to sell several items of women's clothing via Facebook and she was approached online by a man who said he was interested in buying them. She told news.com.au the man kept asking weirdly specific questions about the zips on each piece of clothing. He then asked her whether she could send zoomed-in pictures of the zips to him - so he could see what writing was on them. However, alarms bells really started to go off when the potential buyer began to tell her how he loved the "sweet" taste of zips. "Hey in regards to the jean skirt ur selling. On the metal zipper pull fly that does up the skirt there's letters stamped there," the man wrote in his messages to the seller, seen by news.com.au. 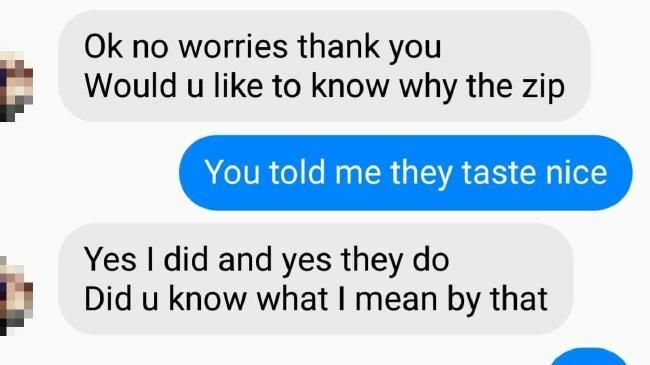 "Can you tell me what they are as I'm interested in them please thank you (smiley emoji)." 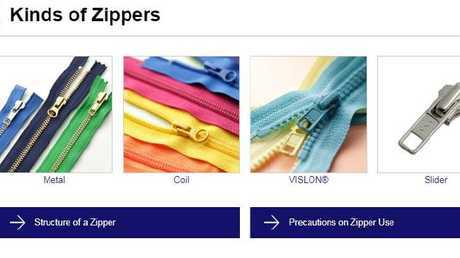 The seller - who wishes to remain anonymous - told news.com.au the man said he collects YKK zippers, the world's largest zipper manufacturer brand. "They are a common brand so why are you collecting them?" the seller asked in the Facebook Messenger conversation. "I love those zips," he responded. "Why those ones (YKK)?" she asked. "I love the flavour they have," he wrote. 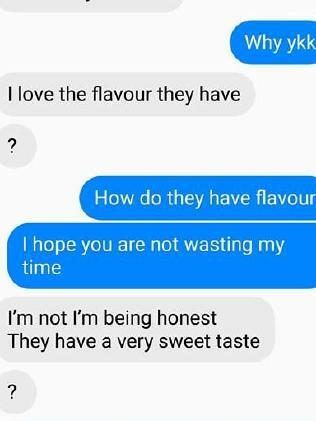 "How do they have flavour?" she asked. "I hope you're not wasting my time." "I'm not," he responded. "I'm being very honest. They have a very sweet taste." It was at this point the seller said she realised the potential customer was wasting her time and tried to end the conversation. However, she said the man continued to message her in the days that followed as he tried to explain why he had an obsession with zips. She said he became "threatening", so she asked him to back off. She told him she was too busy and threatened to report him if he didn't stop messaging her. A spat ensued, and the man threatened to report her for being "abusive" before blocking her. The seller took to the North Shore Sydney Sell, Buy, Swap, Giveaway Facebook page to warn other sellers of somebody asking for specifically YKK zips. A further six women commented underneath the post, saying they had also been targeted by a man asking weirdly specific questions about zips on items they were trying to flog on Facebook. In the warning, the Sydney seller said the zip enthusiast tried to set up a time and place to buy the clothes, but she refused. However, she said she could report his "threatening" behaviour because she had been blocked. However, the man behind the messages told news.com.au the seller was "very rude" and he hadn't done anything wrong. 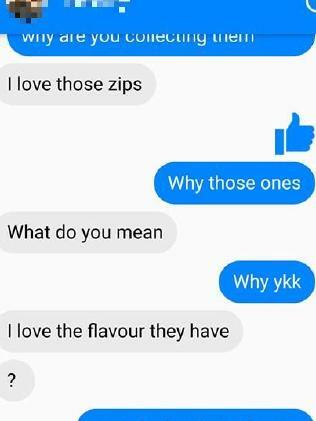 He said he liked zips, but he "can't help that". NSW Police said it was not aware of any reports of zip-fetish harassment on social media, but reminded those selling their wares to report any abuse. "If people believe they are being harassed or bullied on social media they should report it to the page administrator," a spokeswoman for the force said. "Cyber-bullying and online stalking can also be reported to the Australian Cybercrime Online Reporting Network (ACORN)." 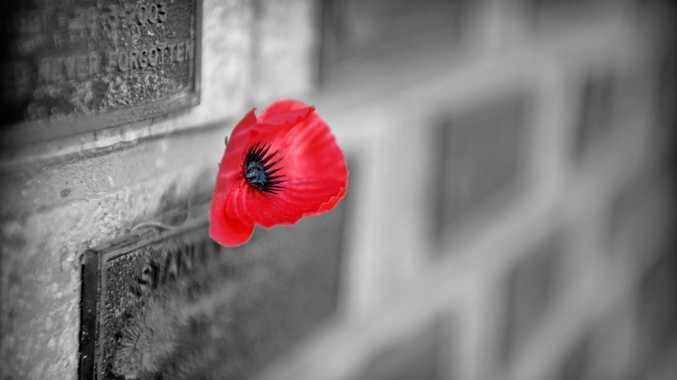 For information, visit the ACORN website.